Five in a row! The Brewers seem to be surging at home as they've won five straight and eight of their last nine games. Tonight Seth McClung out pitched the Diamondbacks' Randy Johnson on a night Johnson claimed 2nd place on the all time strikeout list. The long ball, too, proved huge in tonight's come from behind win. Prince Fielder, Ryan Braun and even J.J. Hardy each went deep. - Bill Hall was in the lineup Tuesday after requesting a trade: I'd conjecture the start is more in part to Randy Johnson being a lefty than it is a reaction to his trade request. Hall was 1 for 4 with 2 K's. I'll post my thoughts on Hall and other tidbits in an extended post later this week. - Hall won't talk, Melvin won't (yet) trade: If Hall is to go, there's no need to rush a deal. - More on Hall trade HERE and HERE. - Eli says Hall will 'definitely' be traded within the month: He may be dealt but the teams he names as suitors (Giants, Mariners, Nationals) are far from buyers. - Salomon Torres has shined in the closer's role: And this just in... the sky is blue. It's been odd not panting through the ninth inning this past week or so, but I could get used to it. - Here's a transcript of Jeff Suppan's Web chat. - Two Brewers (Mat Gamel, Matt LaPorta) crack the top 10 of Baseball America's Prospect Hot Sheet: Okay, top 11 but Jay Bruce is #1 and I'd venture to guess he won't be back in the minors any time soon. I just picked up Gamel as my rookie keeper in fantasy... why the hell not? Jared already has LaPorta. - Speaking of LaPorta, he has posted a player journal entry. 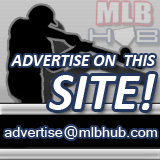 - More on Huntsville pitcher David Welch's seven-inning no hitter Monday. - Cardinals fans are lame too: So it's not just 50% of Cubs fans and that one constantly shrugging drunk guy in the right field bleachers of Miller Park that give baseball fans a bad name. Good to know. - Power catcher Jonathan Lucroy is Sportsbubbler's Brewers Prospect of the Week: He hit .590 last week. If he keeps those numbers up than he too shall one day be a member of my fantasy team (2011?). - Brewers Bar makes a plea to Brewers fans: And I couldn't agree more. Let's all try to show more tact. - SI's Tom Verducci on the importance of the draft: He says, "Braun (Milwaukee), Chamberlain (Yankees), Troy Tulowitzki (Colorado), Justin Upton (Arizona), and Clay Buchholz and Jacoby Ellsbury (Boston) all helped their teams get to the postseason within two years of being drafted." In unrelated news, Sports Illustrated apparently has a need for more copy editors... but Verducci's (albeit flawed) point resonates; the draft has become exceedingly important. (Hat tip to Chuckie Hacks). - Moises Alou now says he would have caught the 'Bartman Ball': This from a dude who urinates on his hands. - What do you know, more on Bill Hall: Hall for Joe Crede? No thanks. - Did you know Bill Hall wanted to be traded? : This site names Baltimore or Tampa Bay as potential destinations. - Brewers Nation previews position players before Thursday's draft: Ever hear the name Destin Hood? You just may on Thursday. - (Peoria) Cubs lose! : The big league squad can't seem to drop a game, but it was almost therapeutic to see Ryne Sandberg on the losing end against the Timber Rattlers tonight. The cheesy helmet fries and dollar beers weren't bad either. Weekend recap: How sweep it is!